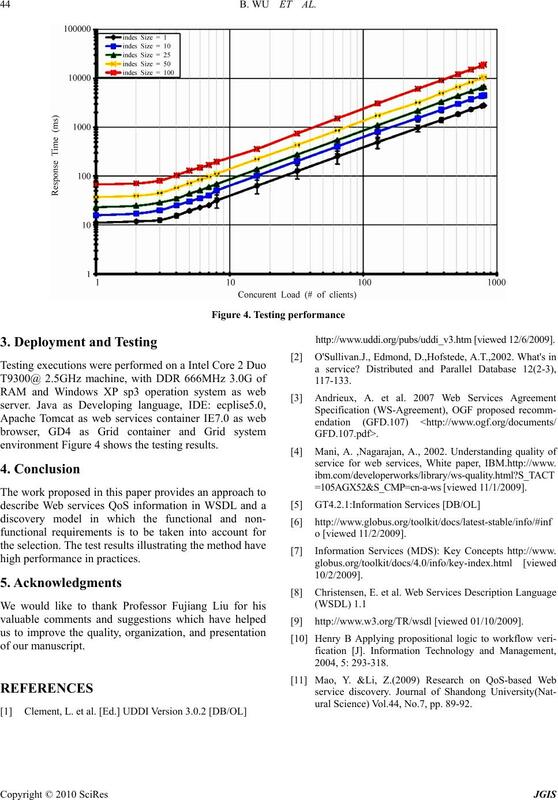 WSDL, etc and the established service level agreement. Web services by service consumers. service will be available at a particular time. 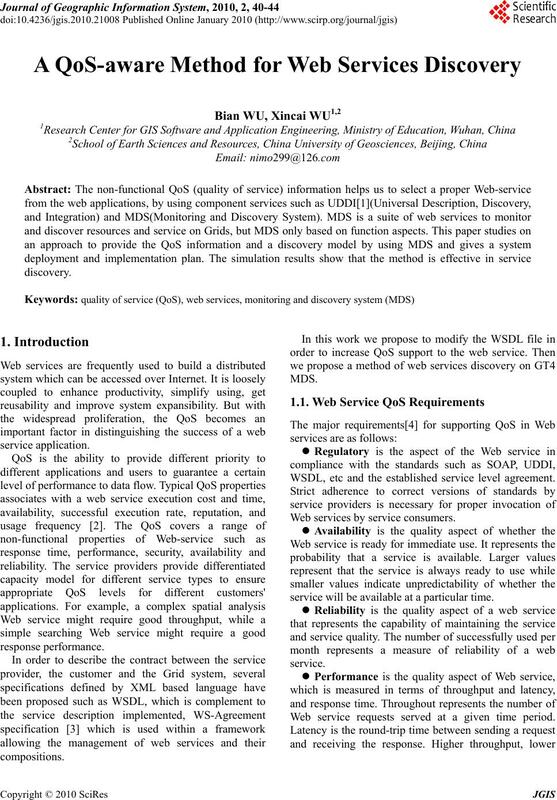 Web service requests served at a given time period. performance of a GIS Web service. 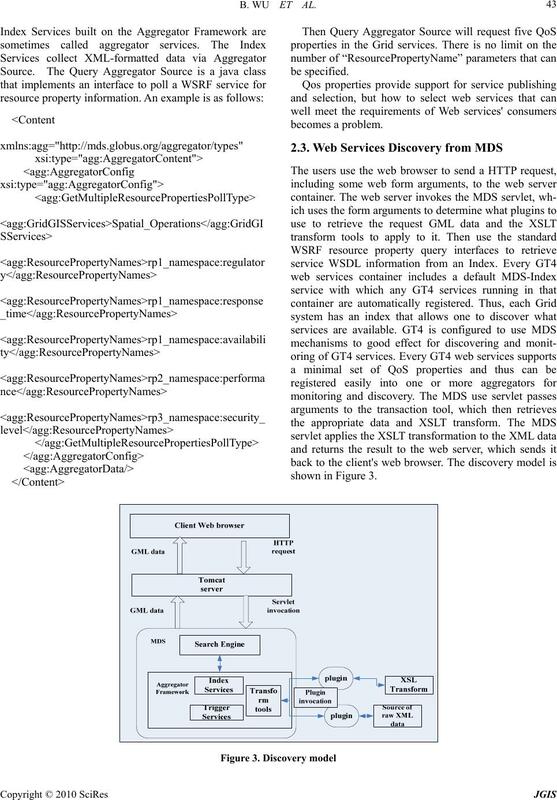 MDS architecture is shown in Figure 1.
support the QoS information description. 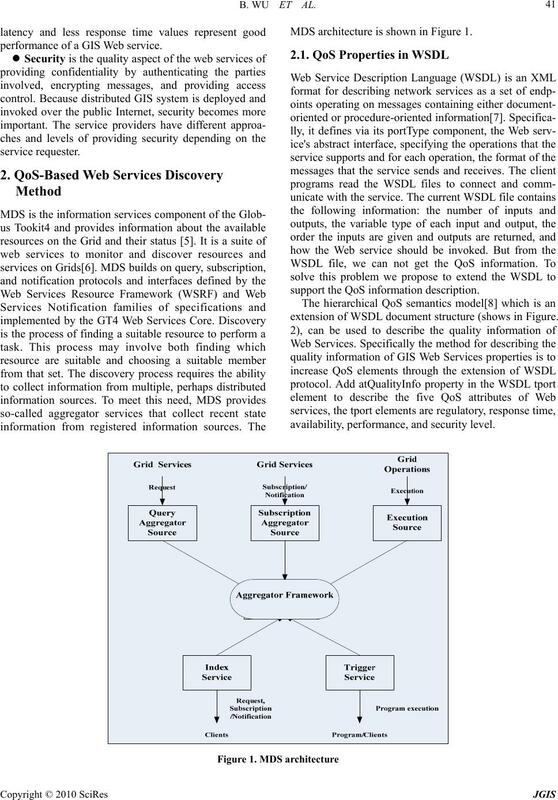 extension of WSDL document structur e (shows in Figure. availability, performance, and security level. < wsdl: constraintInfo name="regulatory" value="75"
< wsdl: constraintInfo name="availability" va lue="65"
from a Index Service as resource properties. used to build services that collect and aggregate data. environment Figure 4 shows the testing results. 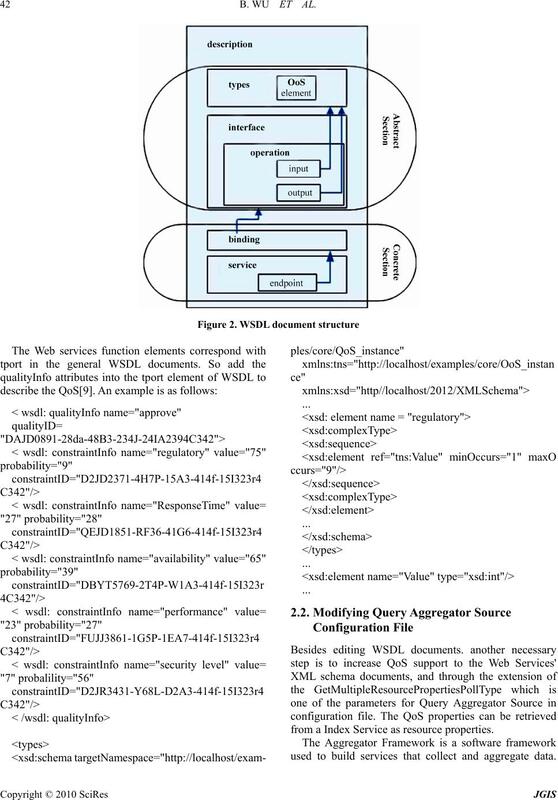 service for web services, White paper, IBM.http://www. = 1 0 5 A G X52&S_C M P = c n -a-ws [viewed 11/1/2009]. Information Services (MDS): Key Concepts http://www. ural Science) Vol.44, No.7, pp. 89-92.